A school lunch, which is cooked on the premises, is provided. We encourage children and parents to subscribe to school meals so that children can share a nutritious lunchtime experience with their peers. A weekly menu is displayed on the notice board in the office and in the junior hall. Click here to see our Autumn Menu 2018. Click here to read about our caterer’s Food Sources. For Reception and Years 1 and 2, school meals are free. For Years 4 to 6, the cost of lunch is currently £2.35 per day and we ask parents to pay weekly or half termly in advance, online. Special diets can be catered for, and drinking water is always available. Children may bring their own packed lunch from home, which should be brought in a suitable container and should not include chocolate bars, sweets or canned drinks. If children change from packed lunch to school dinners or vice versa we ask that parents inform the school office. 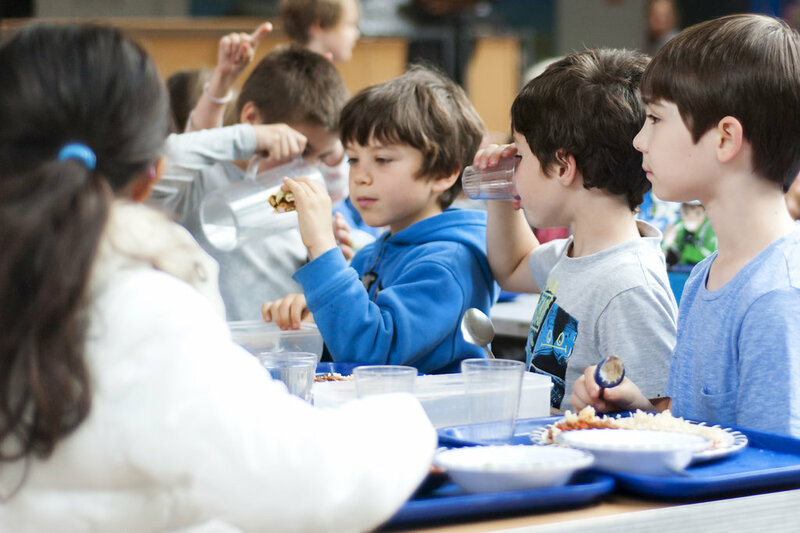 At lunch time the children are supervised by School Meals Supervisory Assistants or Teaching Assistants. At Coleridge, we are aware that there are a number of children who suffer from allergies and we seek to ensure that all members of the school community are aware of the risks associated with some allergies and that steps are taken to avoid those risks. We ask parents not to give their children sandwiches or anything else in their packed lunch that contain nuts. School milk is provided for free to all children under the age of 5 years. Subsidised milk is available for all children up to the age of 11 years, and can be ordered through our school milk provider, Cool Milk. For more information click here, and to order for children 5+, visit www.coolmilk.com.